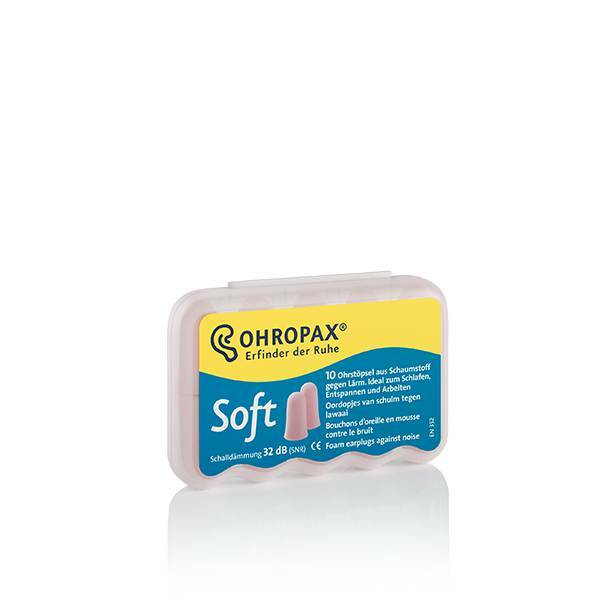 Enjoy a unique sense of well-being with OHROPAX Soft and relish the calm and relaxation. 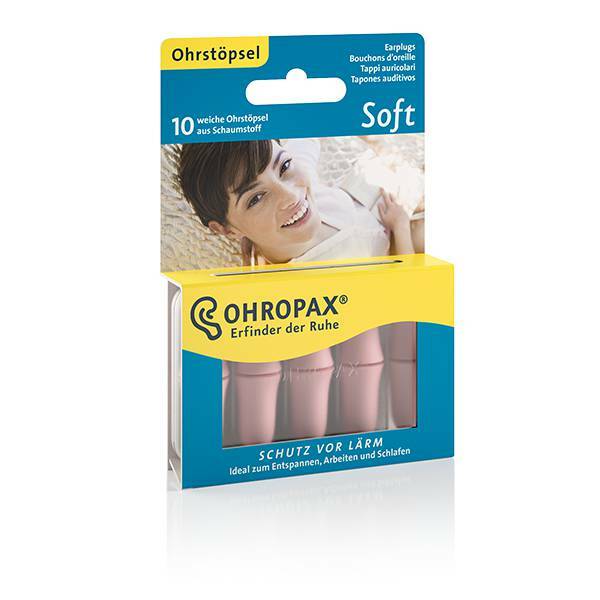 OHROPAX Soft are soft anatomically shaped earplugs made from skin-friendly special foam. They are barely noticeable due to their discreet skin colour. They expand gently in the auditory canal and take on their noise-protecting role comfortably and reliably. The technology which has proven itself day in, day out, at high noise levels under the tough demands of the workplace also offers you a luxurious world of silence in your private life. OHROPAX Soft is extremely versatile – it can be used in the workplace, for reading where concentration is required, for doing DIY or around loud music. 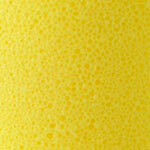 It is also recommended to help you relax and get a restful night’s sleep. As the noise insulation curve is relatively linear across the entire frequency range, there is little change in sound perception. This is particularly good news for music lovers. Using one hand, pull the ear slightly upwards, and using the other hand, insert the rolled earplug deep into the auditory canal.